This problem can happen after you update Norton. To fix the problem, restart the computer. If you experience this problem with Norton for Mac, read Fix problems opening Norton for Mac. If the problem persists, go to Step 2. If you have Norton Family installed, uninstall it before you run the Norton Remove and Reinstall tool. 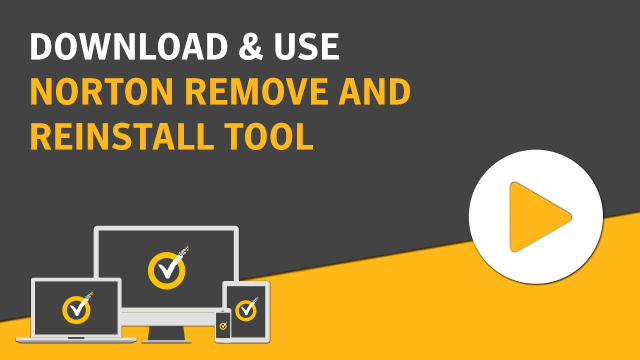 Download the Norton Remove and Reinstall tool. Save the file to the Windows desktop. On some browsers, the file is automatically saved to its default location. To open the Downloads window in your browser, press the Ctrl + J key. Read the license agreement, and click Agree. You may see the Remove button if your Norton product is from your service provider. After the computer restarts, follow the on-screen instructions to reinstall Norton. Many Norton users have shared their solution for this problem on our community forum. See solutions from users about Norton not starting or opening on Norton Community.